TEXAS: Gov. 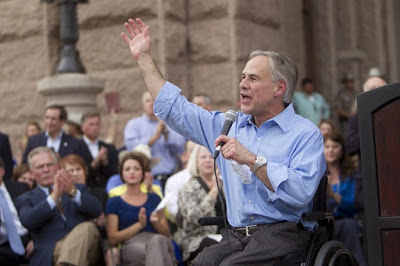 Greg Abbott Issues "Religious Liberty" Directive To Protect Anti-Gay State Staffers From "Adverse Action" - Joe.My.God. In a statement blasting the Supreme Court’s decision earlier on Friday, Abbott said that he would take direct action to protect the religious liberties of Texas residents. “As I have done in the past, I will continue to defend the religious liberties of all Texans—including those whose conscience dictates that marriage is only the union of one man and one woman. Later today, I will be issuing a directive to state agencies instructing them to prioritize the protection of Texans’ religious liberties,” he said in a statement. Marriage licenses are being issued in many Texas counties.